The original version of this system was invented by the Doctorand can be found on all timeships with Mark IV status. When enabled, this system collects data 1 microsecond after Materialization Switch #2 is toggled and prevents a TARDIS from materializing around, or embedding itself in, an object. It also triggers when other threatening circumstances can be found in the arrival area. In such circumstances the Safety Precaution Switch (SPS) prevents the demat circuit from extend the exo-plasmic shell into real space. 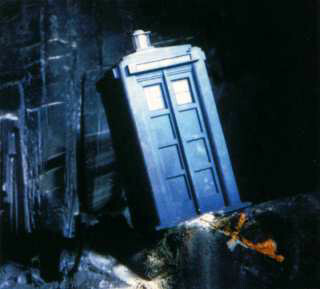 A later version of the SPS automatically shifts the TARDIS to a secluded and reasonably safe materialization site. It will avoid materializing underwater, or in solid rock. If such an arrival seems likely, the Selector will instead find a submerged vessel with a breathable atmosphere or (in the case of being underground) will find a cave. The Selector can be fine-tuned to prevent a TARDIS from materializing on the edge of a cliff, or even on planets where the local technology falls below a pre-selected level. As with most systems, the operator has the option of overriding the Selector. In this case, if the TARDIS is going to materialize inside a solid object, the cloister bell will ring. If the TARDIS was to materialize inside a wall it could take 5 days or more to safely separate the timeship.